Silk flower peony bud in pink. Adorable, soft, and romantic are three perfect words to describe this peony bud. Perfect center to a bouquet or a centerpiece. This peony bud is our favorite way to fill up a bouquet or centerpiece. It gives your designs a really natural, just-picked look. The pink is perfect but it comes in a variety of colors. These are beautiful and fit for a bridal bouquet. Order more than you think you will need as you’ll be back for more! I used these in a bridal bouquet with mostly real flowers. 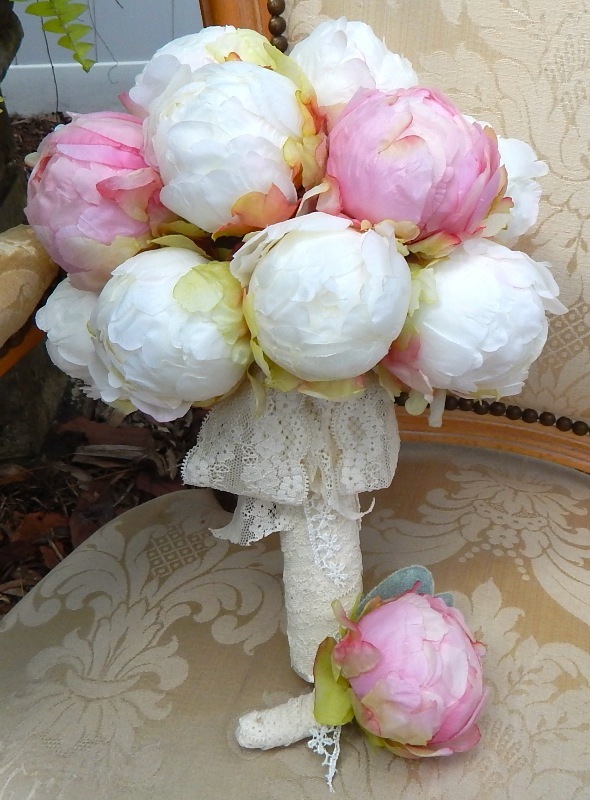 Since peonies were out of season, I chose these as an accent with some other silk peonies and they were amazing. Highly recommended! I have purchased these peony buds many times. I have a wedding shop on Etsy and these are the ONLY peony buds I will use. The are so realistic looking and shipping is quick..